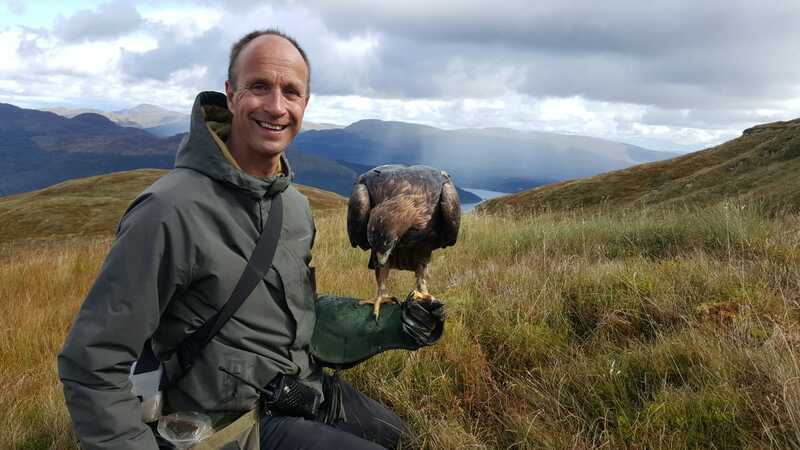 We had a great two weeks filming in Scotland with Tilly, our twenty year old female Golden Eagle. 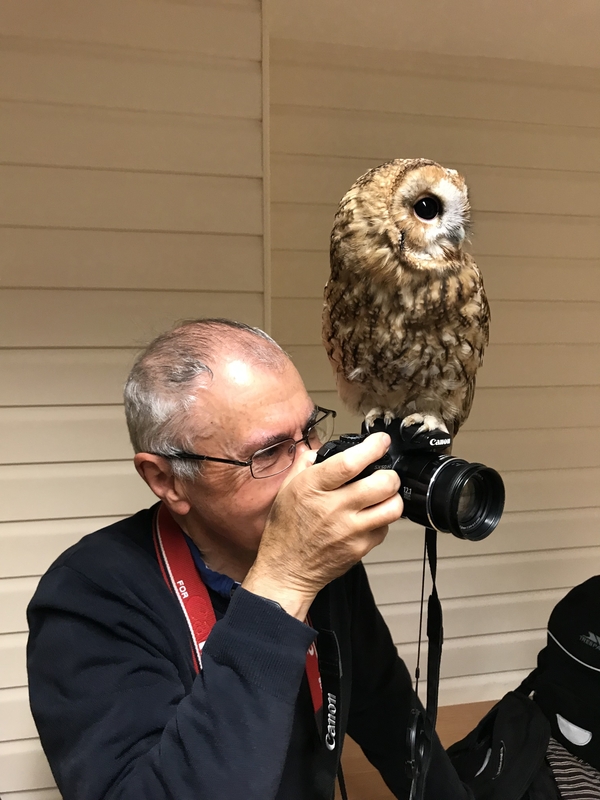 As always Tilly soared and flew beautifully, and really enjoyed herself, filming for a forthcoming TV documentary on Eagles, to be screened at the end of the year. 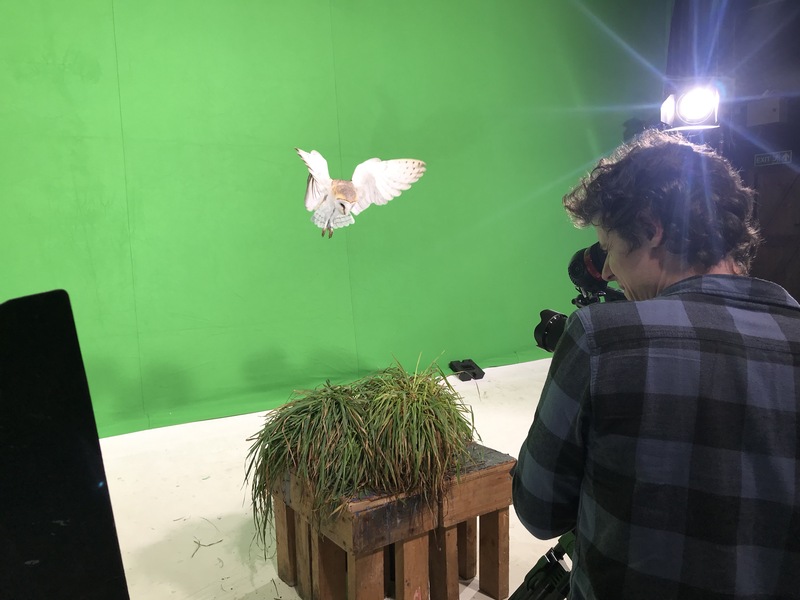 Lily our four year old Barn Owl had a great days filming with us at Farm Studios, for CTL Films, flying and pouncing for a high speed, green screen shoot, we filmed some stunning shots with her. Freya is just over one year old now and developing into a fantastic flyer. Her flying style is very flamboyant and she really likes to show off her aerial skills, she is such a stunning and reliable Falcon, and so exciting to fly. 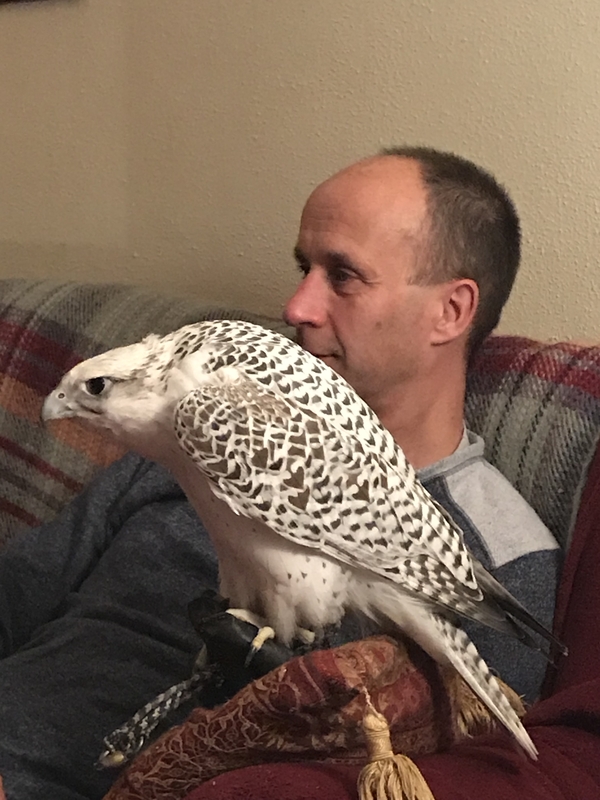 Most nights Freya loves to come in for some social time with us, wildlife programmes on the TV really capture her attention as the picture shows. 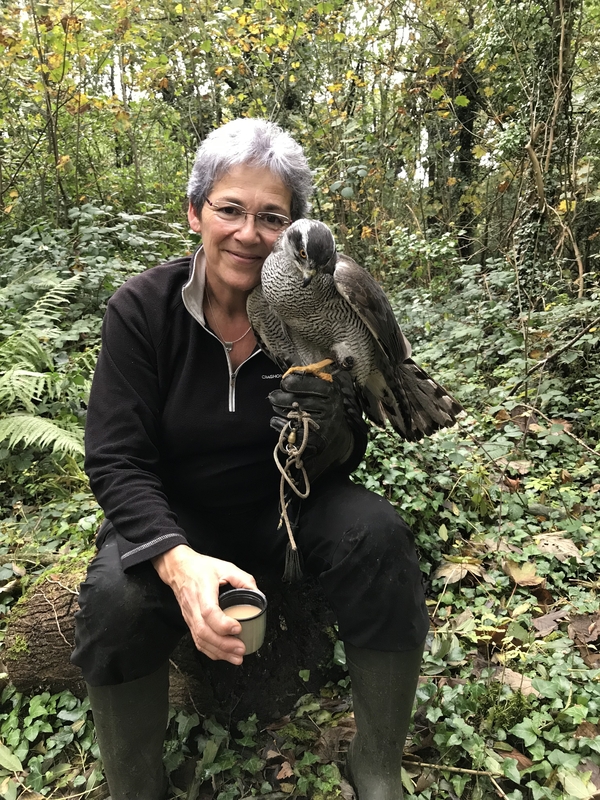 Rose and her beloved Ellie, our fifteen year old Northern Goshawk, after a great bit of flying in the woods today. 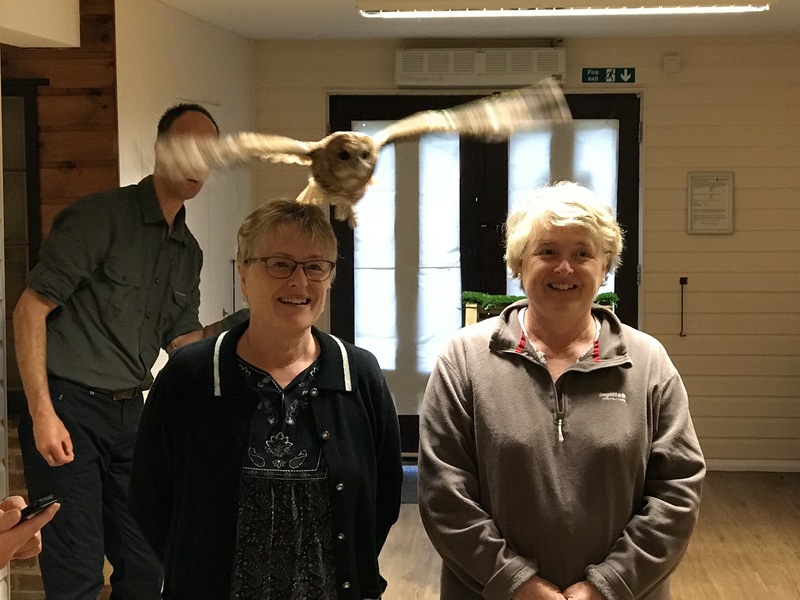 Ellie is back to full flying fitness after her summer moult and really enjoying her flying, she is such an exciting bird to fly, she flies from Rose or a tree and hunts me down in the woodland for the lure, her version of prey. 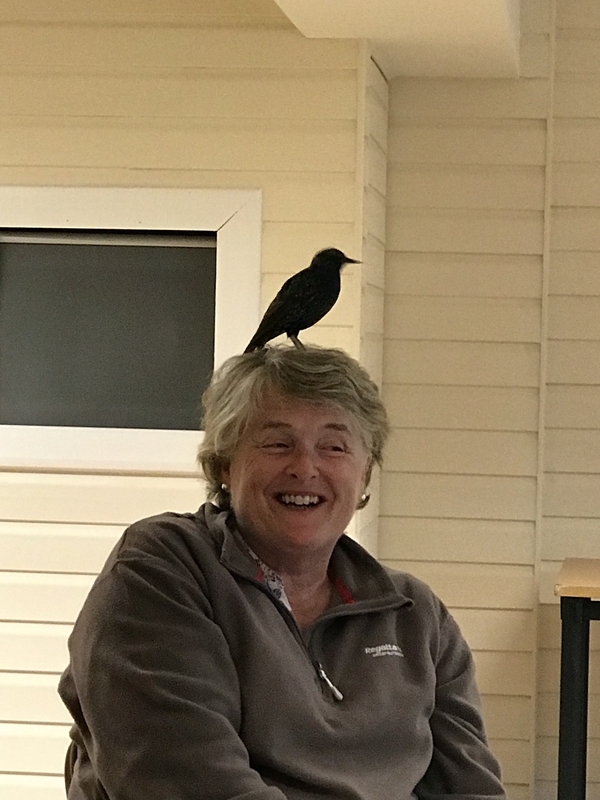 Rose, myself and many of our birds had a great day yesterday at the Hawk Conservancy Trust near Andover in Hampshire, doing the first of our experience days there of 2018. 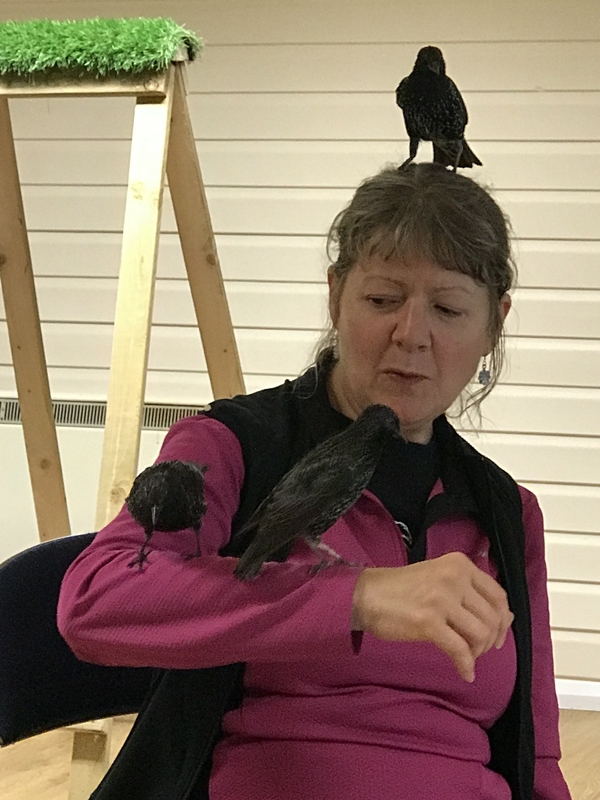 We had six wonderful guests, who had the chance to meet and fly a variety of our feathered family, as always, the Starlings and Bran the Raven were the stars of the day. Tilly and I had a wonderful time filming up in Scotland at Tillys favourite place away from home, the beautiful Carrick Castle Estate in Argyll. Weather conditions were very kind to us over the week, only one rainy day, and ideal strength winds made it easy for her to soar over the landscape, so cameraman Rod Clarke & producer Joe Tuck were able to get all the shots needed for their project, Tilly really enjoyed herself, and did some breathtaking flying, and at nearly twenty years old now, she has become a very experienced and accomplished flyer. Thanks to Darius & Hannah Mellet, for making us so welcome as always, and the use of the amazing Hagglund all terrain vehicle, to get us and all the kit to the best spots for Tilly and the filming. We had a great days filming with the team from Motion Impossible & Arri, and Rudi & Noah our Peregrine Falcons, who were chasing their soon to be released Agito Robotic Dolly System, at Charlton Park house in the Cotswolds. 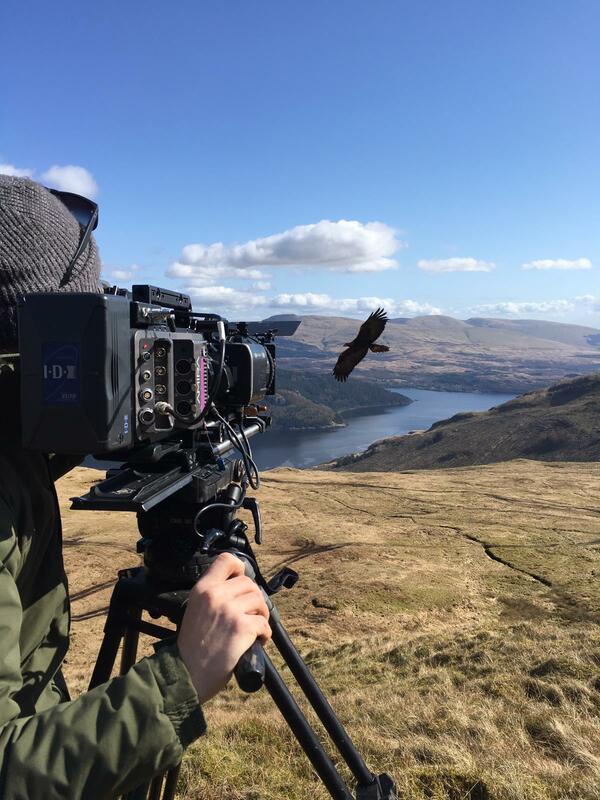 The weather was perfect, and the Falcons loved chasing the camera system for the lure, the Agito worked superbly and with the new Arri head made it possible to get some stunning shots. 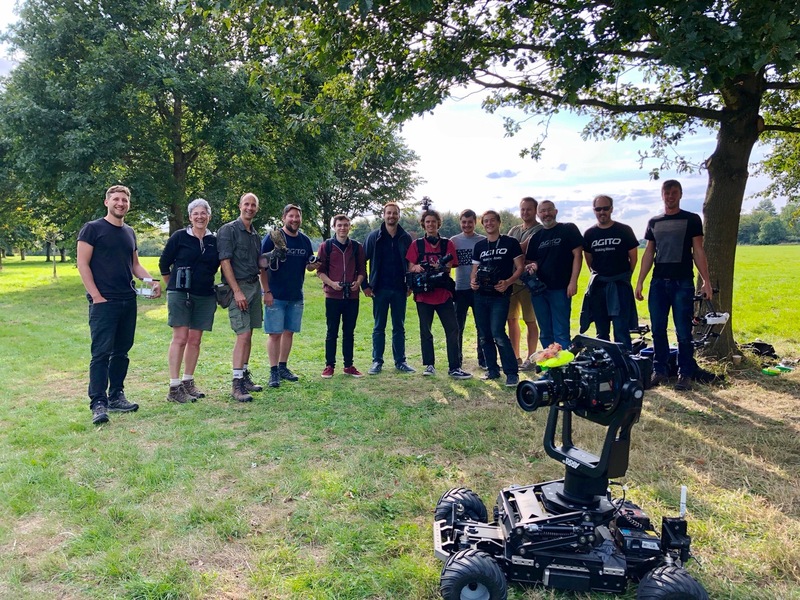 Chris Watts & Alex Johnston, our good friends from Technical Films completed the team, and filmed some super drone shots as well. A really enjoyable day and team effort. 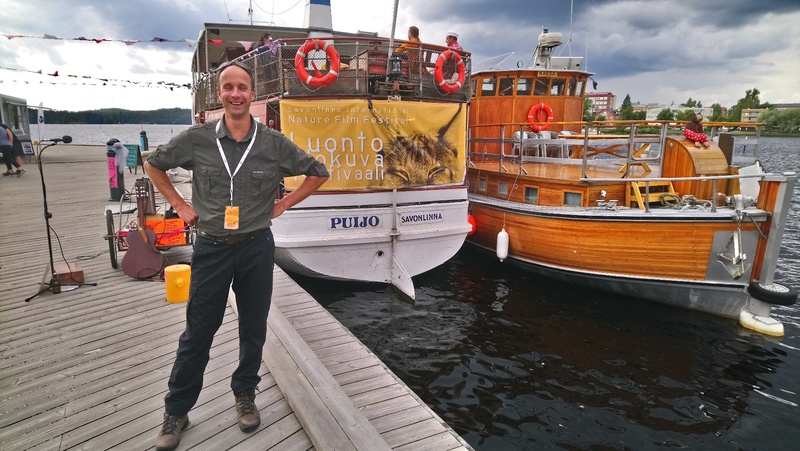 I had a wonderful time screening ‘Super Fast Falcons’ at this festival in the beautiful city of Savonlinna in Finland. It was great to get to see it on a big screen, everyone loved the film, and I had lots of fascinating questions to answer in the Q & A afterwards. Thanks to everyone involved for inviting me, and making me feel so welcome, and in particular to my good friend Juha Taskinen. 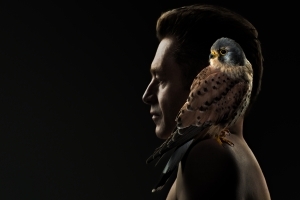 I certainly admire the Finnish way of life, and their close connection to the nature. 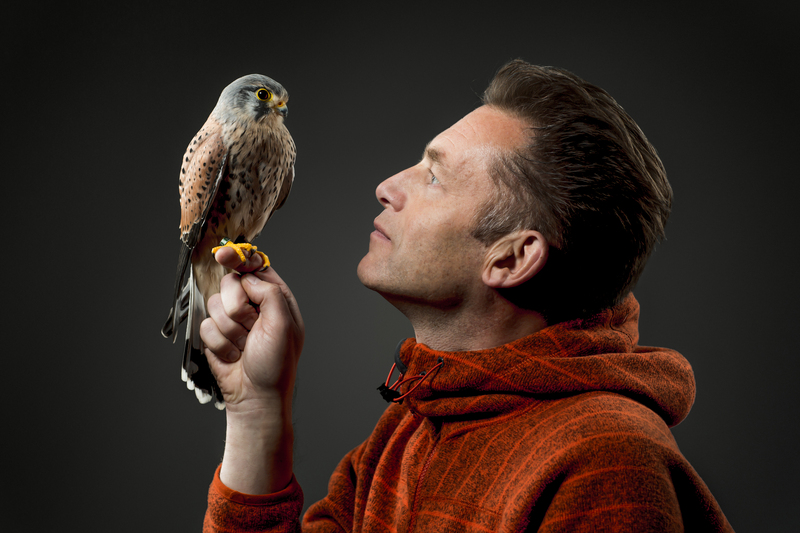 Great couple of portraits of Ashley our thirteen year old European Kestrel with wildlife presenter and good friend Chris Packham, Kestrels are one of Chris’s favourite birds, photos by Jo Charlesworth, superbly lit shots. 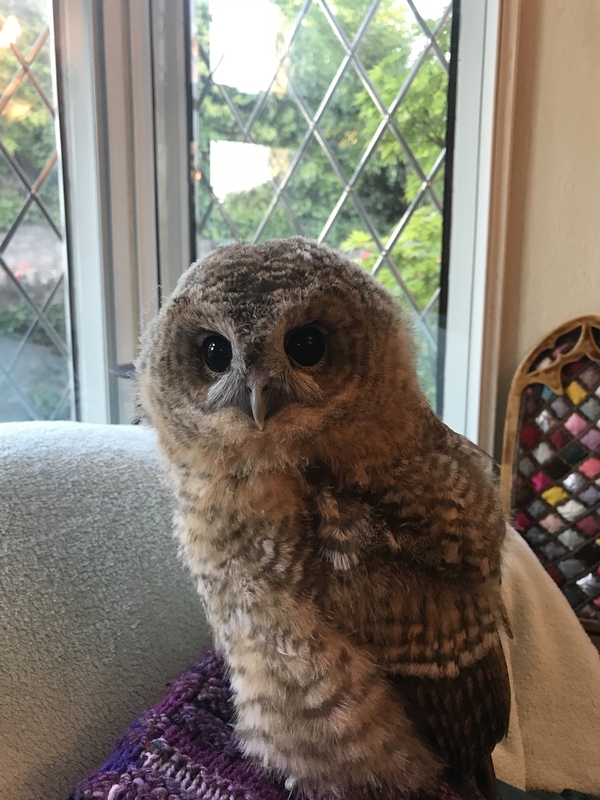 Hector our new young Tawny Owl is growing up fast and nearly fully feathered, he is flying well and learning fast, and really enjoying flying in our little woodland, a perfect habitat in which to film with him. 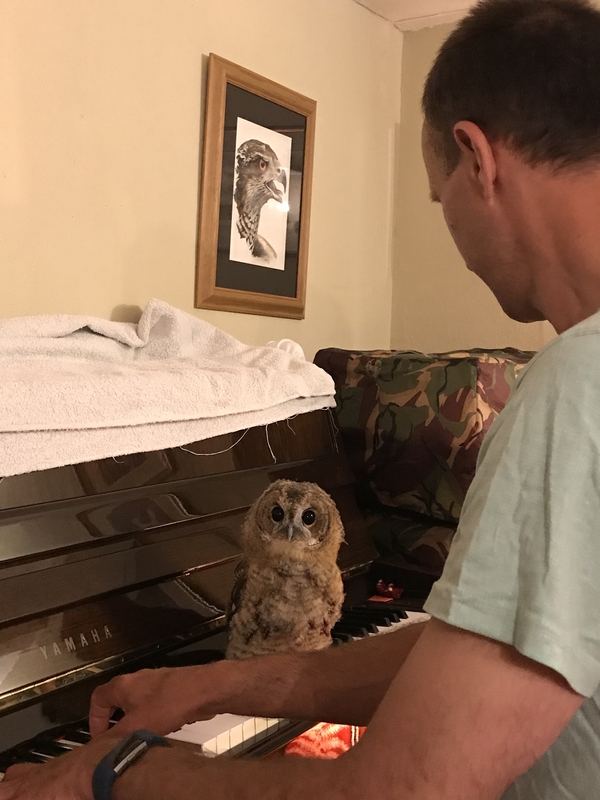 Like most birds, he loves music, and really enjoys listening to me playing the piano.